If you’re considering buying a teacup piglet, please stop considering it. This recent marketing scam is just that – an attempt to defraud people into buying into the latest fad. Unless you’re prepared to have an animal weighing over a hundred pounds strolling around your house, you should steer clear of any pig variety – even if a “breeder” calls it a teacup. Asking how big a teacup pig will get is a bit like asking how big a teacup elephant will get. There really is no such thing. That teacup baby pig will grow to be as big as at least a large dog but most likely will weigh as much as the average human. 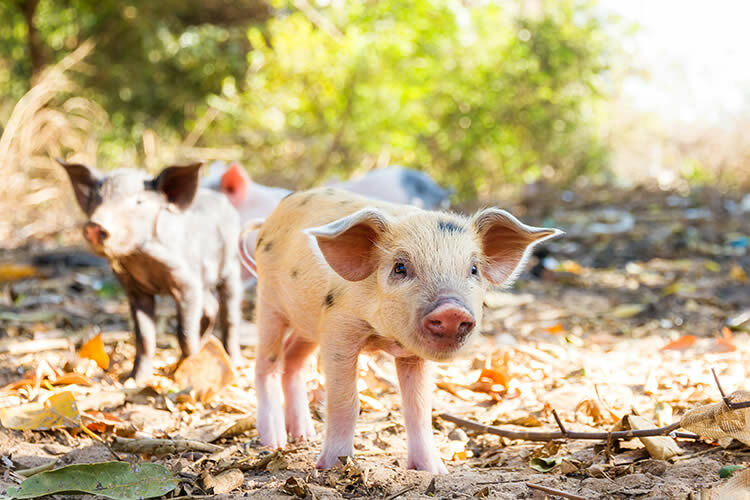 The reason why these pigs are called “mini” is only because they are small when compared to a regular breed of pig – which are about seven feet long when fully grown. There is no actual pig breed called “teacup” or “mini” and you’ll be quite disappointed when you’ve plunked down two grand for one. Potbellied pigs are usually the breed being sold to unsuspecting buyers which are indeed tiny when babies. However, being fed a normal diet, these pigs will reach over 100 pounds when fully grown. Breeders have been making wild claims about these so-called miniature pigs, even stating that they won’t grow more than 15 pounds if fed a restricted diet. Even with a restricted diet, pet and pig rescues say that they have never come across a fully-grown pig that weighed only 10 to 15 pounds. So, you’ve bought a nonexistent “teacup” pig and now are aware that it will soon grow to be larger than a pit bull. What do you do now? Fortunately, there are pig rescues that try to help people who thought buying a tiny swine would be a good idea. Local government shelters have been taking in pigs with increasing frequency also. Try calling your local animal rescue group and getting ideas from them on how to give your helpless pig a new home. Whatever you do, restricting their diets is inhumane and unnatural. “Teacup” pig breeders have told buyers that they should be giving the pigs sometimes as little as a cup of food a day to keep them as small as possible. This is basically starving a pig. A pig needs to eat large amounts of food for healthy, sturdy bones. Many pigs that are given to rescues suffer from osteoporosis and other health issues due to malnutrition, not to mention they are with the rescue because they outgrew their suburban homes. Why the Pet Pig Craze? Unfortunately, people imitate celebrities – and the pet pig fad is one such craze that originated with stars such as Victoria Beckham and Honey Boo Boo. Pigs have had to pay the consequence of their newfound popularity – being given to kill shelters or finding themselves sick, malnourished, and homeless after their owners no longer find them cute. If you are prepared to own a pig and deal with her idiosyncrasies as well as her girth, then she will make a wonderful pet for you. Pigs are extremely intelligent and loyal to their guardians. When you’re not set up to take on the entire package, then buying a “teacup” pig will be a nightmare for everyone involved, not least of all the poor pig. It’s recommended that pigs are not taken on as house pets. If you want a mammal companion, considering adopting a hamster, cat, or dog from your local shelter.